Some like poodles with their elegant coiffs and delicate mannerisms, others like bulldogs for their massively adorable underbite and stout stature. But we like pugs, for their squishy little faces and friendly demeanor! And you do too, obviously, which is why you’re here. Pugs! The canine companion, the internet meme, the little dogs with big personalities! But you already know all of this...you’re kind of pug crazy! 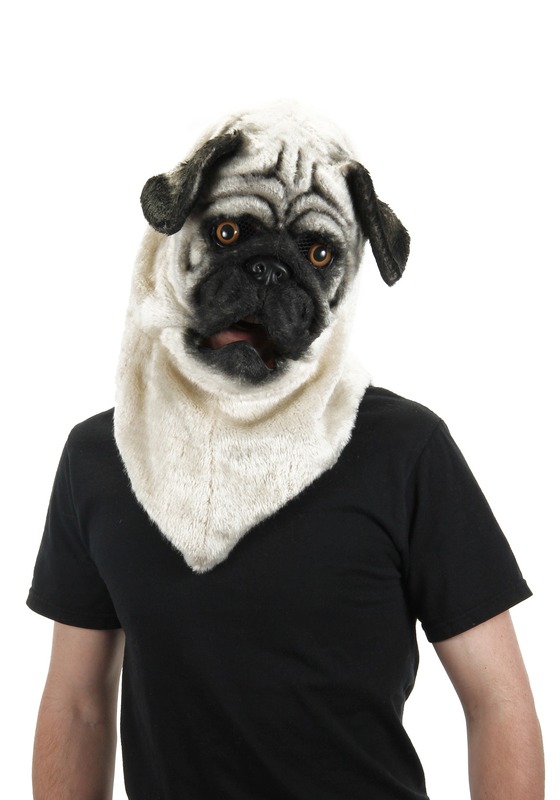 Previously, you could only dream about what life would be like as a pug, but now with this Mouth Mover Pug Mask, you can actually find out for yourself! With realistic doggie details and a moving mouth, this mask lets you literally inside the head of the cutest dogs alive. If you have pugs, then wearing this in front of them will confuse them like nobody's business; but if you don’t, then we guess you can go right on ahead becoming your own best friend.